iflix has signed some great content deals in recent months, proving that the service is set to become a key source of entertainment in the region. Beyond the amazing deal made with Disney/ABC, they've also confirmed that the third season of the thrilling drama Mr. Robot will air exclusively on iflix within 24 hours of its US broadcast. It's a great deal and you can also catch up with the first two seasons via iflix as well. HELLO, FRIEND: season_3.0 OF MR. 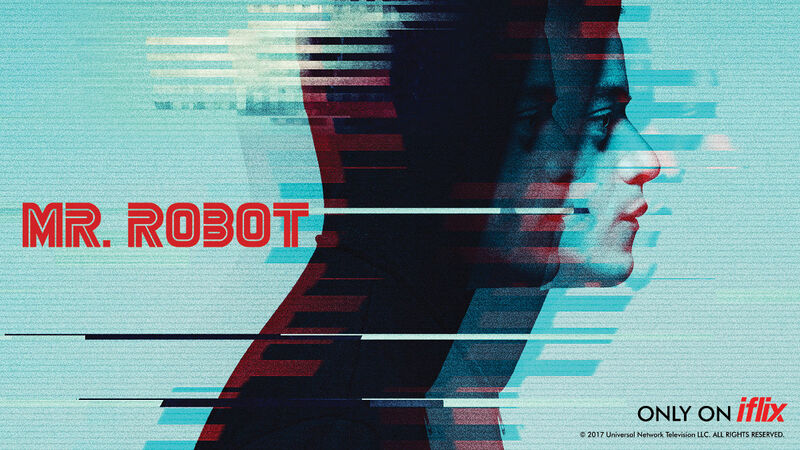 ROBOT PREMIERES EXCLUSIVELY ON IFLIX, EXPRESS FROM THE U.S.
Manila, 11 October 2017– iflix, the world’s leading entertainment service for emerging markets, is thrilled to premiere the latest season of critically acclaimed drama series Mr. Robot. Starting tomorrow, October 12, iflix subscribers in the Philippines will be able to stream or download new episodes weekly, within 24-hours of the initial U.S. broadcast – only on iflix. The critically acclaimed and multi-award-winning series follows Elliott Alderson (Emmy® winner Rami Malek), a cyber-security engineer who, along with Mr. Robot (Golden Globe® winner Christian Slater) and underground hacker group, fsociety, starts a revolution to change the world. The series also stars Portia Doubleday (Angela Moss), Carly Chaikin (Darlene), Stephanie Corneliussen (Joanna Wellick), Martin Wallström (Tyrell Wellick), Grace Gummer (Dominique DiPierro), Michael Cristofer (Philipp Price) and Emmy® Award nominee, BD Wong, who revive their roles in the new season. Emmy® winner Bobby Cannavale (Boardwalk Empire) also joins the cast as Irving, a laconic, no-nonsense used car salesman. From Universal Cable Productions, Mr. Robot hails from writer and executive producer Sam Esmail (Comet) as well as Anonymous Content executive producers Steve Golin (True Detective) and Chad Hamilton (Breakup at a Wedding). iflix is currently available to consumers in Malaysia, Indonesia, the Philippines, Thailand, Brunei, Sri Lanka, Pakistan, Myanmar, Vietnam, the Maldives, Kuwait, Bahrain, Saudi Arabia, Jordan, Iraq, Lebanon, Egypt, Sudan, Cambodia, Nigeria, Kenya and Ghana.